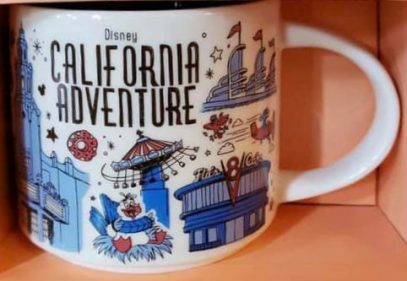 Alright, so both Californian mugs have been released today. Here’s Starbucks Been There Disney California Adventure which I find to be the prettiest among new Disney mugs, just because I like the blue colors! As you can see, the box is orange, similar to Universal mugs. It is priced at $19.99, which is not cheap and pretty much what I expected it to be.